Averill’s Sharper Uniforms is on the road this spring to show off our exceptional classic uniform favorites and new hospitality uniform styles to America. 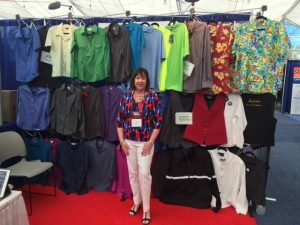 We’re a hospitality tradeshow favorite for our collection of the best uniforms for men and women at our unbeatably low prices. It’s also our chance to learn from customers around the country what they like and what they want for their restaurants, spas, resorts, hotels and other hospitality businesses. What we learn on the road is represented in every new collection of customer-approved shirts, pants, skirts, caps, coats, vests, neckwear and accessories for casual and formal settings. 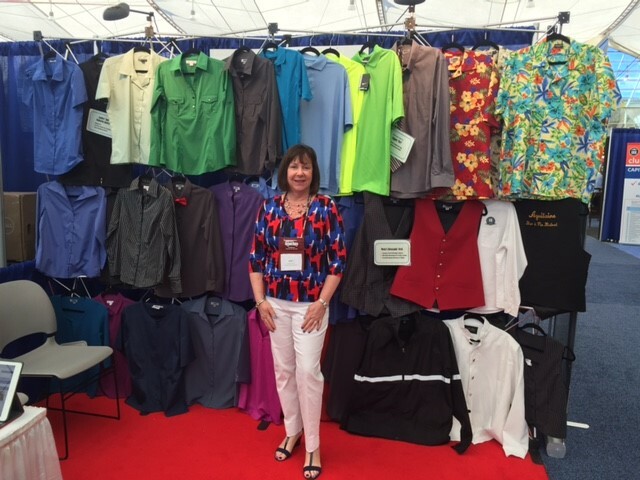 At the CMAA 2017 Club Business Expo in Orlando, Florida, on Feb. 9 to Feb. 10, hosted by the Club Managers Association of America, we will be showing off our new arrivals for spring that you can also see at our website at SharperUniforms.com. Visit us at Booth No. 223 at the tradeshow at the Orlando World Center Marriott, and you will receive a free gift. Plus, you can enter for the chance to win a surprise gift at our tradeshow drawing. At the CMAA event, you can also meet executives from country clubs, restaurants, resorts, yacht clubs and golf facilities around the world. We travel north to the New England Food Show on Feb. 26 through Feb. 28 at the Boston Convention & Exhibition Center in Boston, Massachusetts. Visit us at Booth No. 110 to see our great front and back of the house uniforms, and enter for our drawing for a surprise gift. Be our guest with free tickets to this hospitality industry-favorite show. Go to the food show’s website and click on registration. Enter Priority Code 30111 for your free tickets. There is no limit on free ticket requests, so bring your staff and family. We travel to Maine in March for the 2017 Maine Restaurant Show on March 29 at the Cross Insurance Arena at 1 Civic Center Square in Portland, Maine. Come see us in Booth No. 604 for show-only special prices and discounts. At every one of our on-the-road shows, you’ll learn about new trends and money-saving tips on outfitting your staff. Throughout the year, you can find the best prices on smartly designed casual and formal hospitality uniforms, along with a full array of custom uniform services, at SharperUniforms.com.